NEO Science Fair Awards and Curta: The first pocket calculator ever! This month's program will feature the Northeastern Ohio Science Fair winners and their projects as well as a presentation on Curta, the first pocket calculator. Representing the ISA Cleveland Section, Herb Harpster, David Grigger and John Mihevic had the opportunity to judge the Northeastern Ohio Science Fair at Cleveland State University. We guarantee you'll be impressed at the caliber of these students and the ingenuity and hard work they put into their projects. Their projects will be available for review before the meeting. At this program you will be encouraged as you get a glimpse of some special people who are the future of our country. Curta: The first (and finest) pocket calculator ever! Imagine growing up in Vienna, Austria, in the very beginnings of the Twentieth Century as the son of a father who owned and operated a factory building mechanical calculators. By the age of 8, Curt Herzstark, aptly dubbed the “miracle child,” was demonstrating the use of sewing-machine-sized mechanical calculators, weighing in at 35 pounds, at trade shows. By the time he was in his mid 30’s, he had invented a four-function (add, subtract, multiply, and divide), hand-held device less than 4 inches high, weighing in at less than 8 ounces. What started out as a conceptual vision only in his “mind’ eye,” moved to fully detailed mechanical drawings done in his spare time in a Nazi concentration camp, to the first prototype that worked “out of the box,” and on to mass production of over 140,000 units. He had invented and built the “most ingenious calculating machine ever to grace an engineer’s hand.” This is the story of invention, war, deception, and triumph. It will take you back to the roots of understanding simple mathematics. It will dazzle you with remarkable drawings and photographs inside and outside of this amazing machine. And it will demonstrate the power of design that begins with the end-product and works out the way to get there. 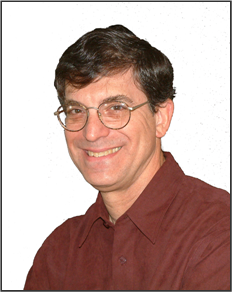 Doug Rothenberg has a broad background in academia, industrial process control, and consulting. He is the author of Alarm Management for Process Control, the leading reference book in this field. He has several patents in instrumentation and automatic controls and was recently awarded one in alarm management. He is the recipient of the 2005 Cleveland Technical Society’s Educator Award. Doug has a bachelor’s degree in Electrical Engineering from Virginia Polytechnic Institute, a Master’s degree in Electrical Engineering from Case Institute of Technology, and a Ph.D. in Systems Engineering from Case Western Reserve University. He taught engineering at Case Western Reserve University and worked for Sohio and then later BP. Currently Doug runs a small engineering consulting firm specializing in alarm management, control room operator display design, and operational safety.